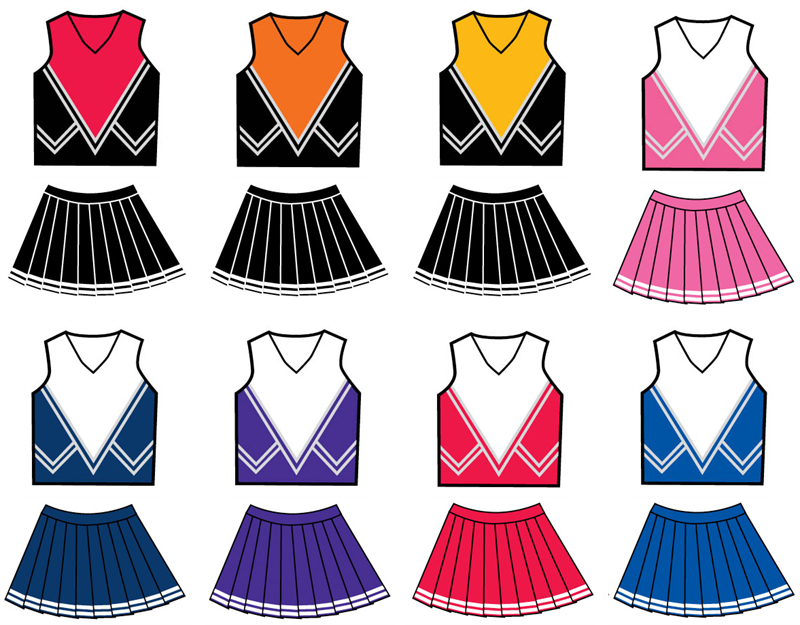 Cute and affordable cheerleading outfit includes v-neck shell with a half-moon back design with matching knife pleat skirt and briefs. Trim is a three stripe braided trim with white sparkle. Colors: black with red, black with orange, red with white, royal blue with white, navy with white, purple with white, hot pink with white, black with gold. Lettering on front is not included, but can be added by using Twill Lettering link below. Price for 1 color twill lettering is $6.50, price for 2 color is $12.00.